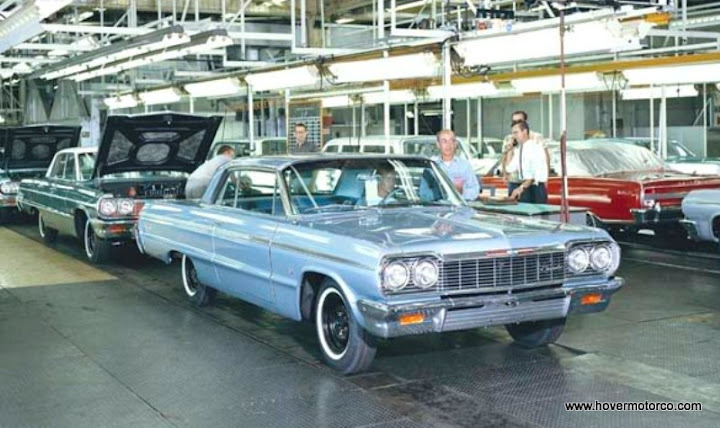 Did you know that in 1985, a record 11-million cars and light trucks were sold in the United States? Today’s sales are about half that, but 5-to-6-million cars each year is still nothing to sneeze at. When I think about those kinds of numbers, it seems like a miracle to me that the world can build that many cars. I mean seriously, how is that even possible? 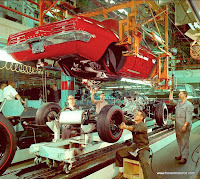 Of course, it wouldn’t be possible without the modern assembly line. And anyone who studied history in an American school knows that Henry Ford had something to do with that. 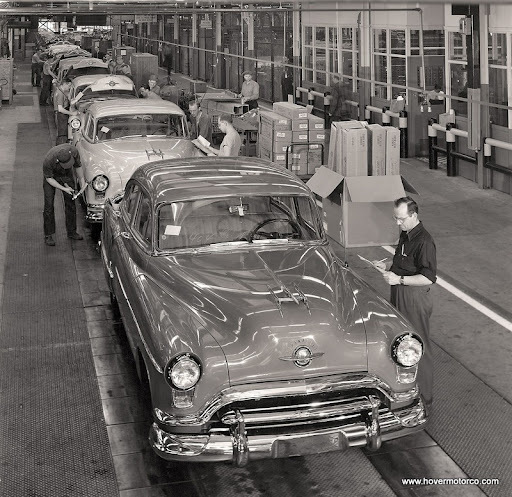 No, Ford didn’t invent the automobile, and he didn’t exactly invent the assembly line, but he did revolutionize the way the assembly line was used in big industry. The Model T tends to get so much credit that is may seem like some mythical legend, but many of those accolades, including the way it was manufactured, were well-deserved. Before the Tin Lizzie, cars were mostly playthings for the rich. 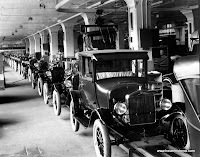 But Ford managed to make the Model T affordable, because they weren’t painstakingly handcrafted. Ford could sell cars to less wealthy people. The more cars he sold, the more he could pay people to build them. The more people were paid, the more cars they could buy. The more cars they bought, the more cars needed to be built. 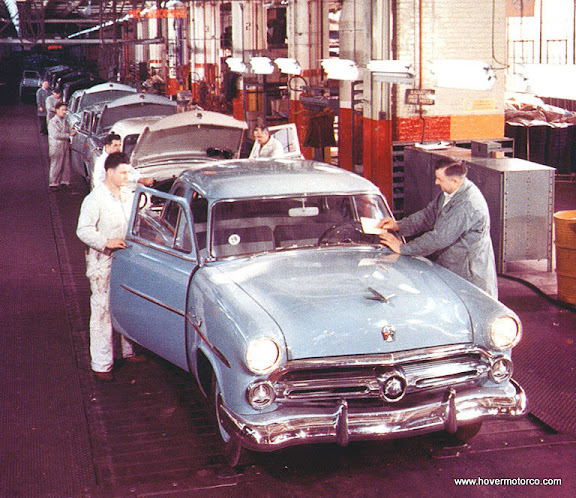 The more cars that needed to be built, the more people Ford could employ. And on and on. 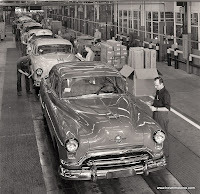 The Internet and i-Phones and all of today’s technological gadgets are amazing, but it would be hard to argue that any of them changed the American way of life like the Ford assembly line. I’ve been to a few automotive assembly plants, and I always find them fascinating. In one section, they're stamping out massive sheets of cold steel to make large body panels. In another, they're welding these together to form the car's structure. Over here, they're building transaxles and suspensions. And over there, they're installing wiring harnesses and interiors. There are hundreds, maybe thousands, of little sub-stations putting all of these components, big and small, together to form one part of the car or another. And then somehow, after all the panels are painted separately, all the options and components arrive in different crates, and all the wheels and tires roll down from some magic place where wheels and tires are born, everything comes together to form a complete car. This would seem incredible--almost impossible--to me if every car were the same. But every car is not the same. Not at all. I mean, how do the red doors and beige interior get through that maze and make it to the car they're supposed to? And to make things even more perplexing, they aren't even the same kind of cars. Most modern plants have more than one different model of car rolling down the line at the same time. Working in an assembly line today can be tough. They’re very noisy. The lighting isn’t ideal. And it takes a certain kind of person to be able to tolerate bolting the same part on over and over again for the entire day. I don’t know that I’d be cut out for it. But as hard as that seems, conditions were much worse as you turn back the calendar. I have a book called Ford at Fifty: An American Story. My uncle gave it to me when I was a kid, but it was actually printed in 1953. It shows pictures of the coke metal foundry, which they refer to as a “man’s kitchen,” as well as shots from the metal stamping areas and assembly lines. The point of the book is that working for Ford made these people happy, successful members of society. But even in the whitewashed context of the book, you could tell that this was not easy work. How do you stand in a hole all day and bolt things up over your head in a poorly ventilated factory with no air conditioning on a 100-degree week like the one we’re having now? Blech. 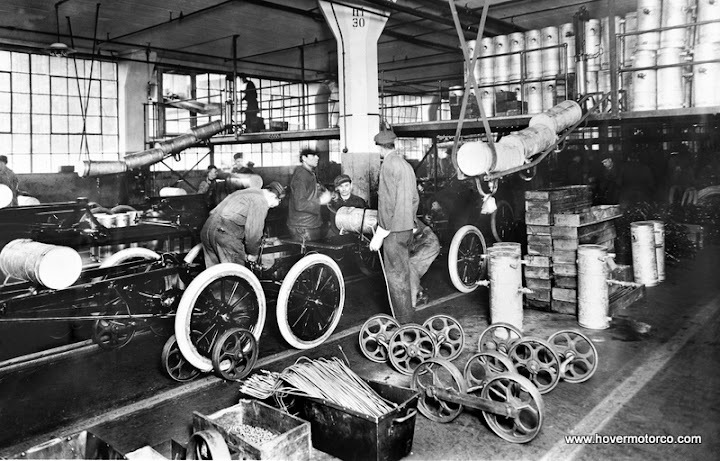 I do love looking at old factory photographs, though. 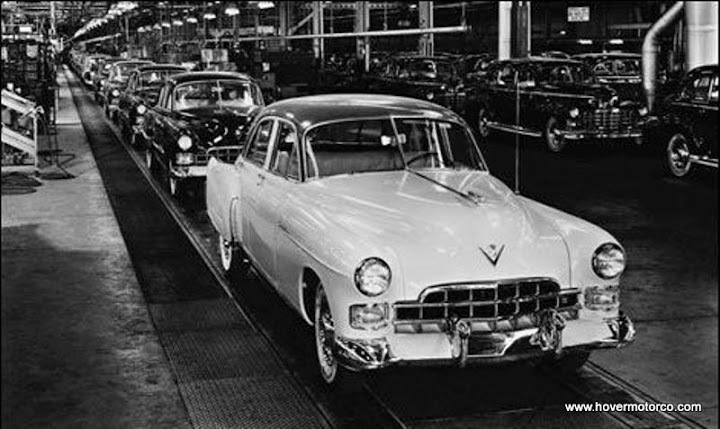 If you see an assembly line picture of cars on the line from 1948, you are looking at brand new, un-restored, un-driven, un-sullied cars still in their fetal stages. Most of the cars you see in those pictures went on to fulfill their entire destinies. All the history, all the life, all the death, everything that those cars would ever be a part of, hadn’t even happened yet when those pictures were snapped. And today, the majority of those cars do not even exist anymore. They were used up and gone long ago. Potential, reality, and history. 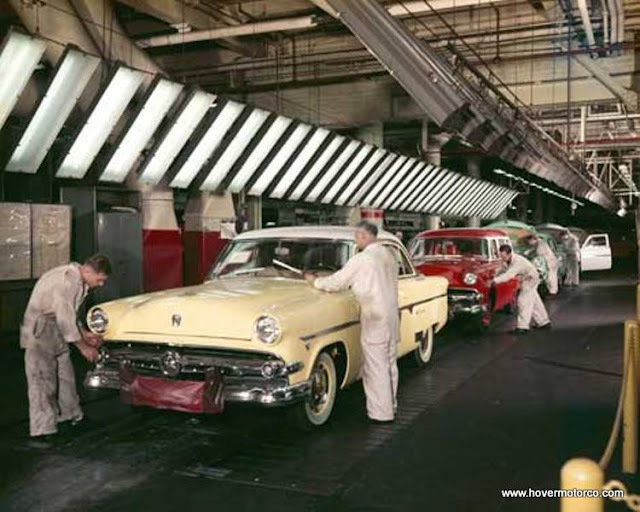 And so today, I offer a great slideshow of automotive assembly lines of the past. Where did the pictures come from? Well, I got quite a few of them from manufacturer media archives, like Ford, GM, and Chrysler. Others were, um, located in an Internet search. But at any rate, I tried to clean them up and put them in some kind of order that makes sense. Whatever. I think you’ll like the slideshow. Check it out below. Or, for a little better version of the slideshow, click this link. The assembly line slide show is GREAT! 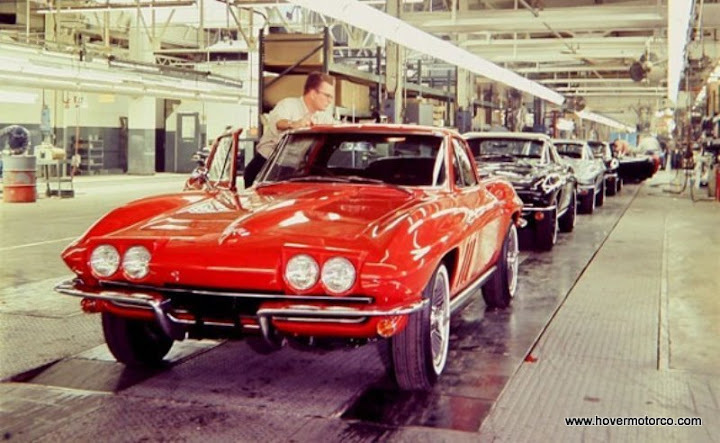 I was fortunate enough to go thru the St Louis Corvette assembly plant in 1966 as a little kid. Looked just like the lead photo...still have the little booklet they gave you at the end of the tour. In re the Ford workers - what you say is true, but remember...they were making many times the money there as at whatever other job they might find, and most of those were in hot, dusty conditions too. 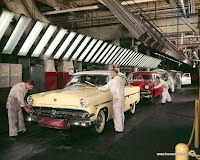 Gettin a gig at Ford on those days was tantamount to hitting a minor jackpot according to what those that were around then that I have talked to; especially in the late 20s thru the early 50s. Thanx again and as always for a good post with neat photos.